In today’s market of green building many people are looking into non-traditional housing options. One of the options gaining popularity is that of organic yurts. Yurts offer a low-impact effect for a building site and they are easier on the budget than other forms of sustainable housing. The idea of using yurts as housing comes from their use by Central Asian nomads. Used for centuries by Mongolians, the yurt is a form of tent built in a circular style and created to be warm in the winter and cool in the summer. Traditionally, yurts are portable housing but with the growing need for greener housing options many of today’s open market yurts are made to be stand alone type structures. Yurts of America is a yurt making company that specializes in permanent organic yurt housing. Their yurts are made to withstand up to ninety-five mile per hour winds, are flame and mildew retardant, and UV resistant. They can customize any yurt design depending on your housing needs, including kitchen area kits and platform designs for you to add plumbing into your yurt. Each yurt they build comes with a ten year warranty. For more information visit their website at www.yurtsofamerica.com. Another company that has helped to popularize organic yurts in America and Canada is Groovy Yurts. Groovy Yurts adapts their yurt construction to the more humid environment in North America, still using organic Mongolian felt with stronger Americanized organic cotton tarps. The wood is dried out for an extended period of time and hand carved by yurt craftsmen in Mongolia. 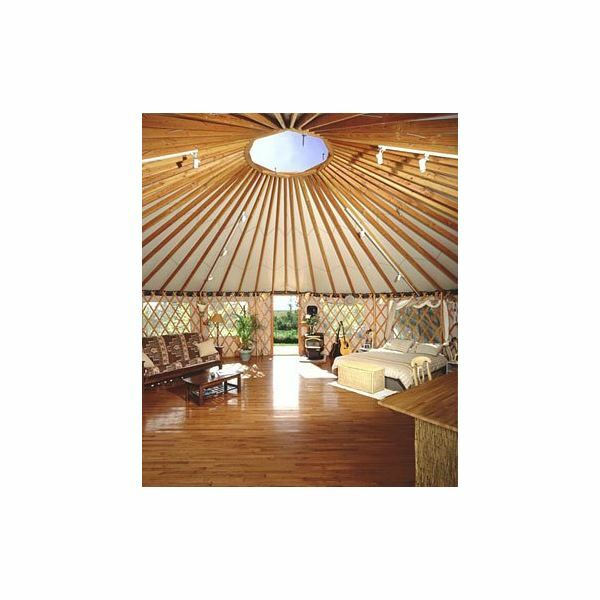 Sizes for yurts by Groovy Yurts run from a four wall to seven wall circular structure with an average price of $7,000.00. Groovy Yurts can be made into permanent structures but they do specialize in the portable yurt dwelling. For more information visit their website at www.groovyyurts.com.